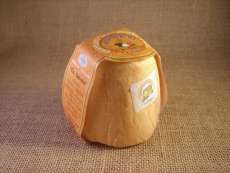 Cheese made at Grao (Asturias) using pasteurized cow's milk, and pimentón. Pimentón provides this cheese its characteristic strong flavor, and slyghtly spicy. It is covered by the Protected Designation of Origin QUESU AFUEGA’L PITU.